Blastobasis sp. (?) (Scavenger Moth). Size: approx. 10 mm. Photo: 09/05/11, 10 pm. This moth belongs to the family of Casebearer Moths. The name refers to the larvae living in cases of plant material, frass, and silk. 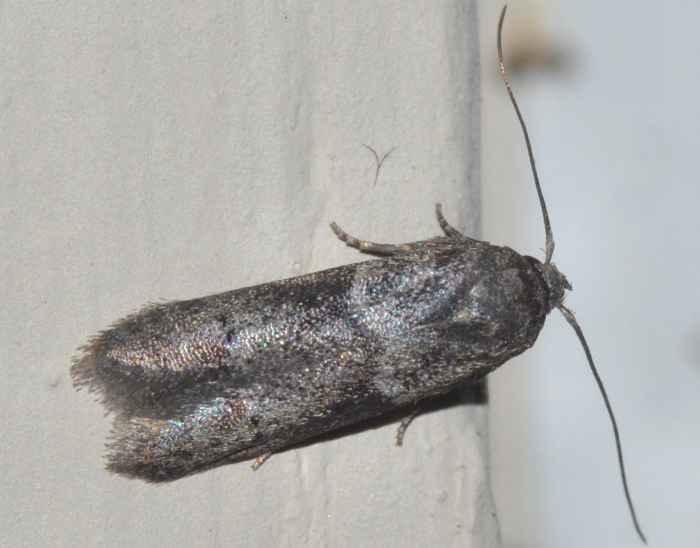 It is probably Blastobasis sp. (>10 species in the US) or Pigritia sp. A bugguide expert pointed out that they are very difficult to identify solely based on a photo.